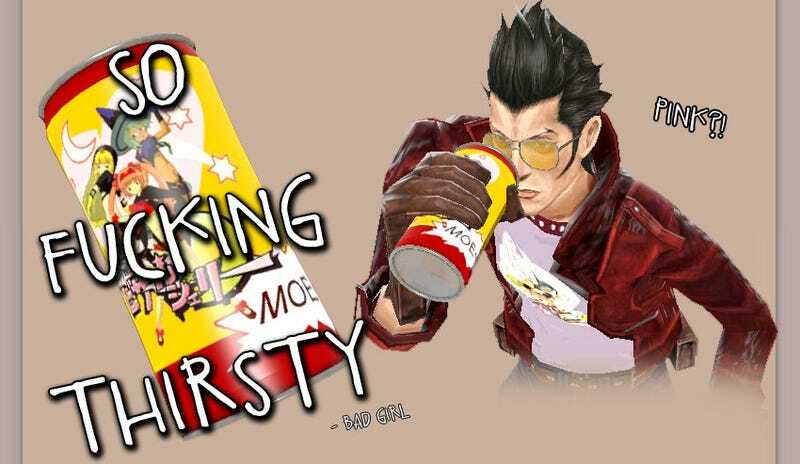 While No More Heroes' Travis Touchdown isn't the most fitting crossover possibility for a Valve game, there's still a fair amount of joy to be had from seeing him be a credit to team. Some modders have managed to insert Suda's leathery star into two of Valve's more recent titles, Left 4 Dead and Team Fortress 2. You can see the Left 4 Dead one here. It's by DethKlan, and is just fine. Finer, though, is the Travis Touchdown mod for Team Fortress 2 (by MechaWare), which not only sees him dropped into the game, but he gets an energy drink and custom baseball bat as well.